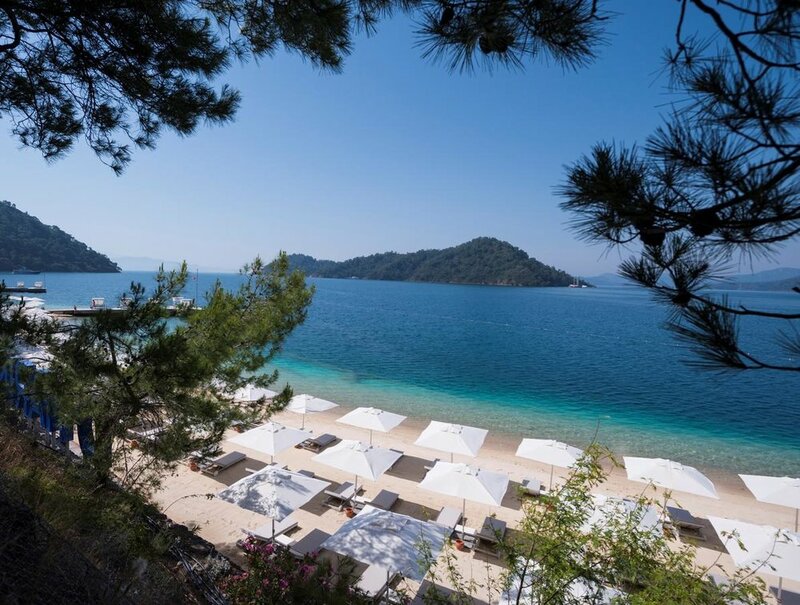 Sleek and stylish, the D Resort Gocek has 103 rooms and suites and boasts it's own private sandy beach available for exclusive use by Hotel guests. 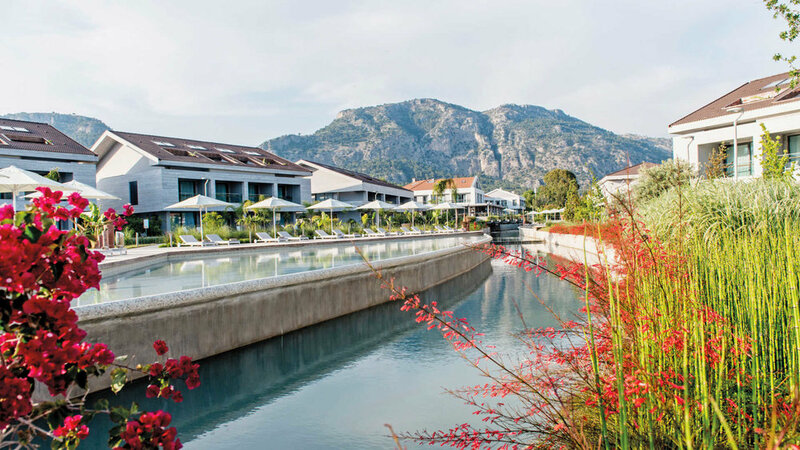 The resort is tastefully decorated and is just a short walk from the centre of town with it's charming wine bars and restaurants or you can use a free bicycle provided by the resort to explore the area and Resort Marina. 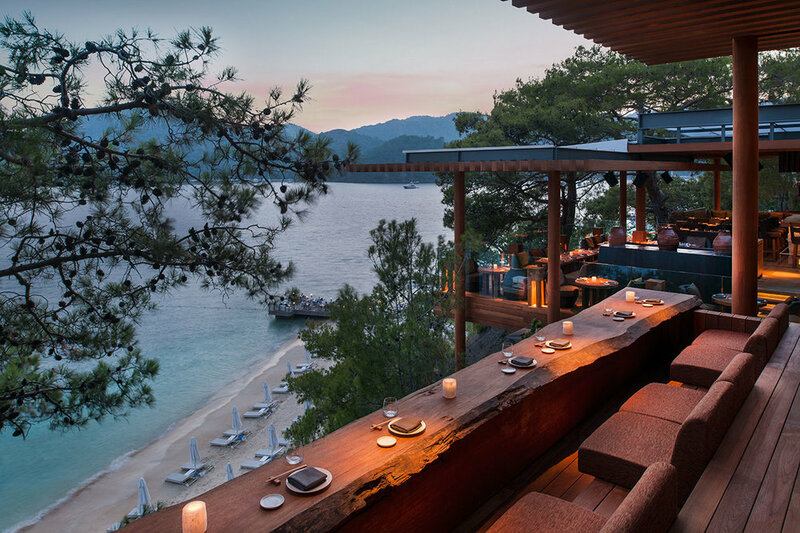 Dining at the seafront Breeze restaurant is an absolute must seafood lovers and the exclusive Q Lounge serves delicious cocktails throughout the evening with a varied Japanese menu and panoramic views across the bay. 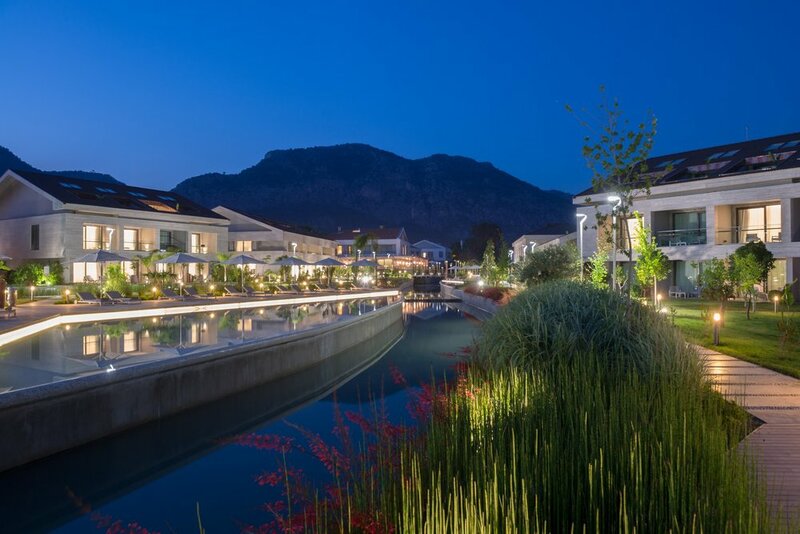 The outdoor pool and Zen area add to the sense of relaxation and guests are invited to enjoy the facilities at the D-Spa and modern D-Gym. 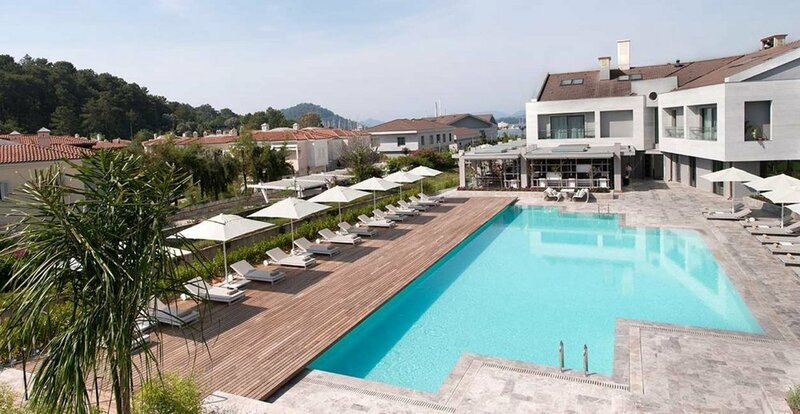 The D-Resort Gocek has 103 en suite rooms and suites, all fully furnished in a modern and elegant style. 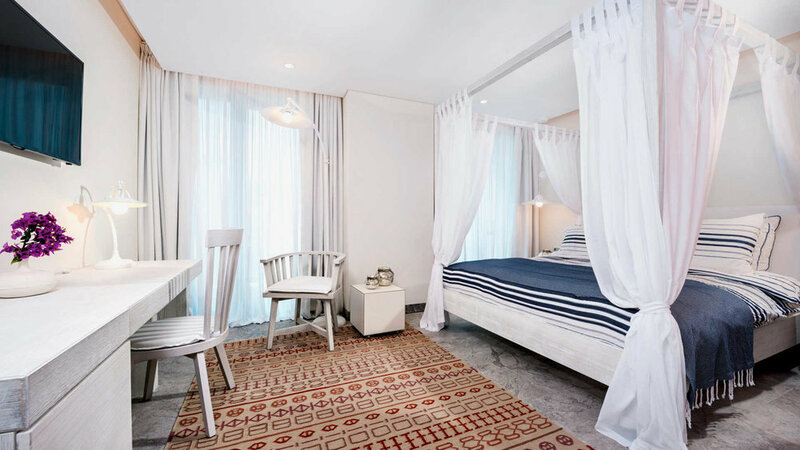 Decorated in light colours reflecting the brightness of the sun you can chose from a Standard room, Penthouse room, Deluxe room, Superior room, or Junior Suite. 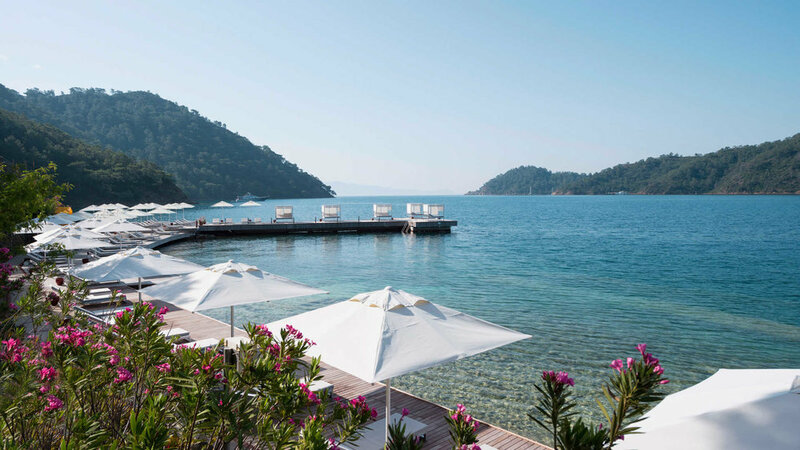 WHY NOT EXTEND YOUR HOLIDAY WITH A SHORT STAY AT THE D RESORT BEFORE OR AFTER YOUR GULET CRUISE?